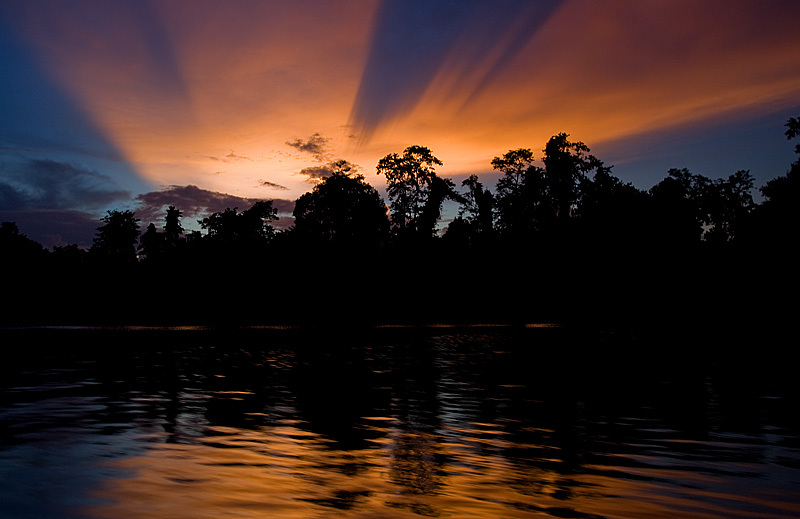 Coming home from a river safari in Borneo. This is the first and only time I've seen a sunset so sharply broken up by low-lying clouds. It almost gives the impression that the sunset light is flat and planar. The lighting is just wonderful. Good luck in the future!